Journalists in Mexico continue to face a clear pattern of violence, harassment and legal action. On August 18th, journalist Manuel Morres was arbitrarily detained for 24 hours while covering protests. Meanwhile, torture allegations surfaced after the arrest of two photojournalists who were covering a traffic incident on August 12th in Oaxaca. 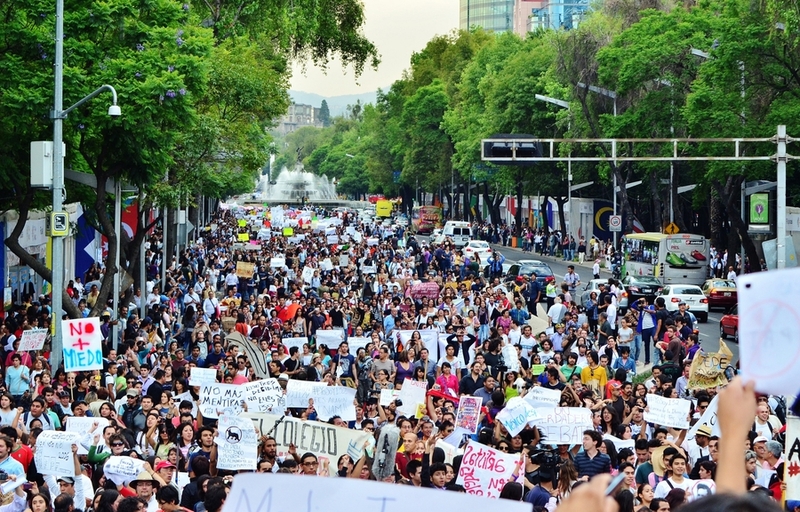 The number of legal proceedings against Mexican journalists also continues to rise. The former governor of Coahuila, Humberto Moreira, is suing a prominent political journalist for “moral damages”. Moreira also filed a civil defamation suit against the newspaper Vanguardia for alleging that the Mexican government unfairly granted him a pension. On August 21st, a journalist's office was raided. The perpetrators stole documents related to the case of Melesio Cuén Hector Ojeda, a local deputy who is suing the journalist for “moral damages”. Moreover, as a result of a Supreme Court ruling in May, there are no longer maximum limits on financial penalties issued to journalists in Mexico. Hostilities have intensified in recent months between the Mexican government and teachers who have gone on strike in Chiapas and Oaxaca. After at least 10 deaths were reported in June, the government has continued its crackdown on nation-wide protests, deploying federal police and using intimidatory tactics. Protesting teachers in Oaxaca have since announced they will return to work on Wednesday September 7th, but in the state of Chiapas, strikes will continue and the government has deployed more police to control the protests in this region. On August 11th, Mexico’s highest court, the Suprema Corte de Justicia de la Nación (SCJN), ruled on the constitutionality of Articles 212, 213, and 214 of the City of Mexico’s Mobility Law. The SCNJ declared constitutional article 213, which prevents demonstrators from “using primary roads with continuous circulation”. This restriction was contested by CSOs as an illegitimate restriction of public space. More positively however, the SCNJ provided a progressive interpretation of the law's requirement to give 48 hours' notice prior to demonstrations. The court said it should not be read an authorisation requirement, but that it should be left to the discretion of protest organisers as to whether to give notice of their intention to gather.